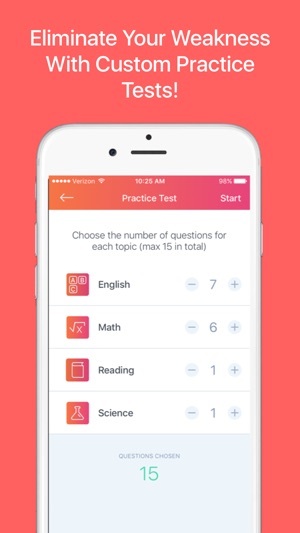 Download PrepUP, the only ACT and NEW SAT prep app where you can COMPETE in a live, head-to-head match in a series of multiple choice questions with people from around the world! 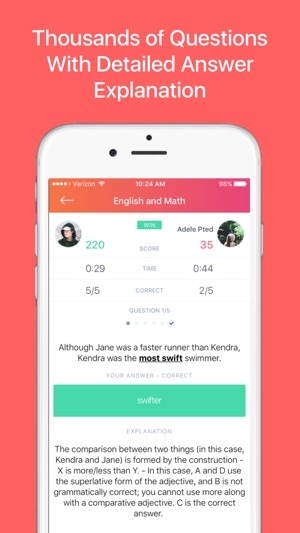 +Play live with your FRIENDS and other people in a head-to-head competition in a series of multiple choice questions for the ACT or NEW SAT. 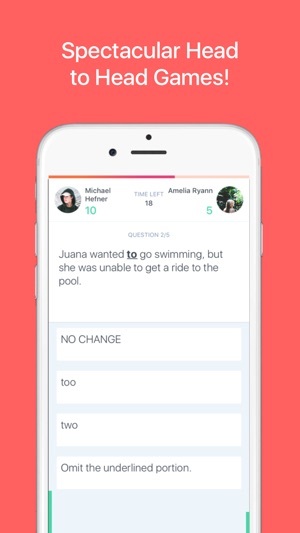 +Simply choose which subject you want to study and match up, in real time against your friends in a series of questions. -Download now and join the elite test takers to discover your new way of learning. 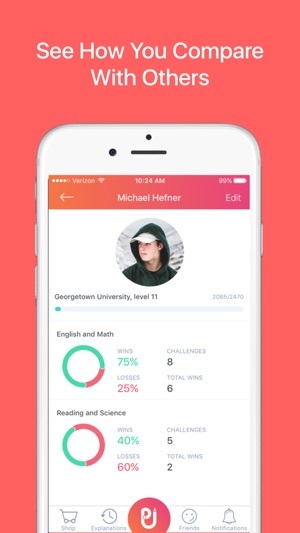 -Everything you need to boost your score is included in PrepUp, so what are you waiting for? Download PrepUP now! +All of the questions you answered are saved so you can learn from your mistakes with the highly detailed answer explanations. +The questions you answered incorrectly are saved so you can take a practice test with them and make a weakness into strength. +These personalized practice tests are proven to increase your score significantly and they can make YOU a PERFECT SCORER. 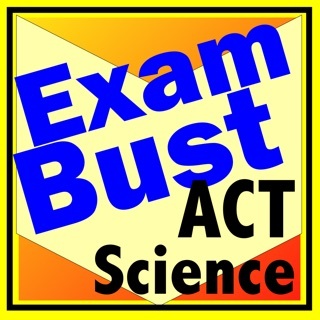 THOUSANDS of questions on nearly every concept tested on the NEW SAT and ACT for you to discover and eliminate your weaknesses to get a perfect score. - Users can now stay logged in! When I open the app and click sign in through Google. It says server error. If I do manage to bypass the error, I am sent right back to the sign in page and given the same error message. I have tried deleting and reinstalling the app and nothing comes of it. I am looking to use this app to study but can't seem to get in. If there is any way to get login please let me know. I would be incredibly grateful. App has yet to function, crashes when logging in through Google OR Facebook.